Every work office design should have a custom and elegant style that can be comfortable for the employee, so now I have to provide an interesting topic for modern work office decorating ideas where we have to show the basic details that can bring a phenomenal decoration. In addition we must direct every worker to decorate the work office with the different basic elements in decor such as wall colors, furnishings that give a perfect finish to get an ideal for any work office decor. 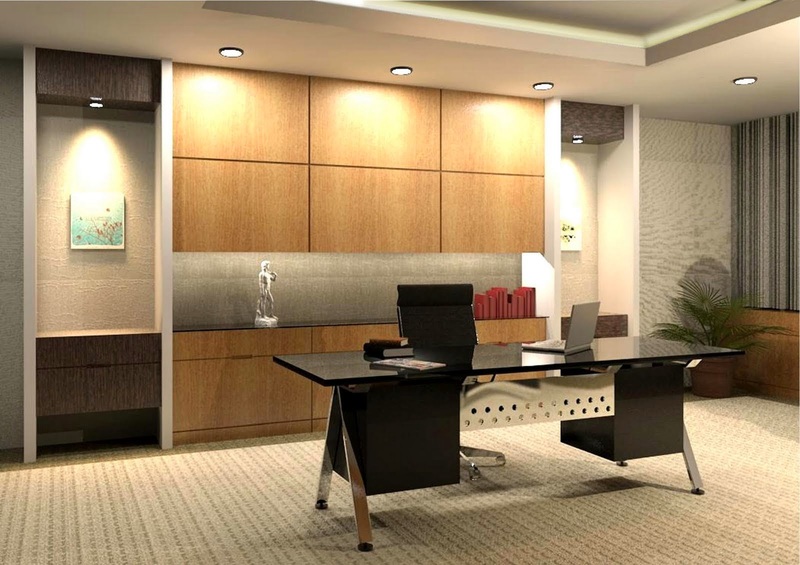 "15 small office design ideas and decorating tips"
The trend of using work office decorating ideas in modern style are basic in every company, so it is a functional and simple component that you can use that can add high-tech modern furniture that make correctly a beautiful elegant office decor, then I will provide some tips for getting the work office perfectly. Did you know that colors have different effects on feelings ? your office is a workplace, it is important to choose the shades that will help you accomplish more with what you need to do. Blue is common in work office decor, as it helps to feel productive. If your job is stressful consider a green or gray tone they provide a relaxation atmosphere. If you need creativity, think in purple. If you need to be more lively and cheerful, use colors like yellow or orange. you can implement these colors on walls, furniture and accessories. Try different shades until you find the best for you. 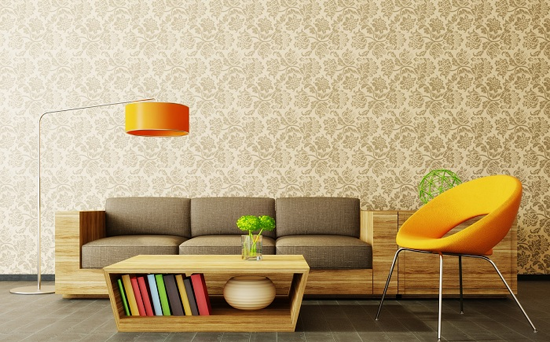 Before buying new furniture, think that you meet these requirements. Do you need enough space to work? sitting for several hours? Also take the furniture in your accounts. the work office can be an entire room, party room or a corner of the kitchen. As for desktops, you can find all kinds. Some have drawers and shelves included that will help you keep your office tidy, while other desks are nothing more than decoration. 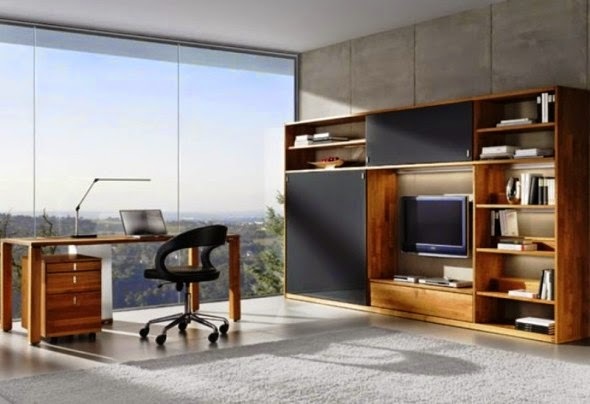 If you do not have much space, use a corner desk that will help you maximize your space . As for chairs, choose ergonomic chairs if you work long hours. If you only use your office for a short time choose the chair that will improve the work office decor. If you still have space and tend to have visitors, you can use a sofa and chairs for this purpose. The work office is one of the places where lighting is more important. If you are in front of a computer, reading or writing several hours, you will need good work office lighting. Do not use only a lamp on the ceiling. Use one on your desk, another where you sit to read or write, and more where needed. Use LED bulbs that radiate light more effectively and will stay longer. Having good lighting is essential. Preferably, choose a space that has windows and they shine in the sunlight, because this is the most appropriate since it has approximately the same proportion of all colors of the spectrum. If you need to add artificial lighting, you find that this is what more like natural light and preferably be yellow because this tone is warm and comforting. Consider choosing higher wattage bulbs for night or cloudy days. Bear in mind that if the lighting is poor, this will affect your mood and can even drive you to depression. Another factor you should consider is to avoid reflections, especially on the screen of your computer as this will affect your eyesight and prevent you work well. 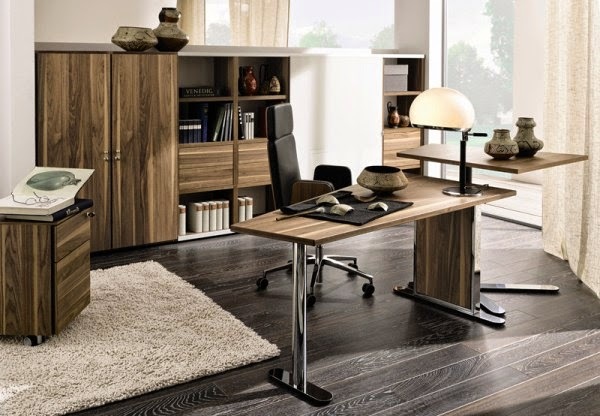 office decorating ideas: Keeping your office tidy will makes your stress levels decrease. Your desk should have only the articles related to the daily work, like a computer. Avoid having too many piles of papers or items that distract you. 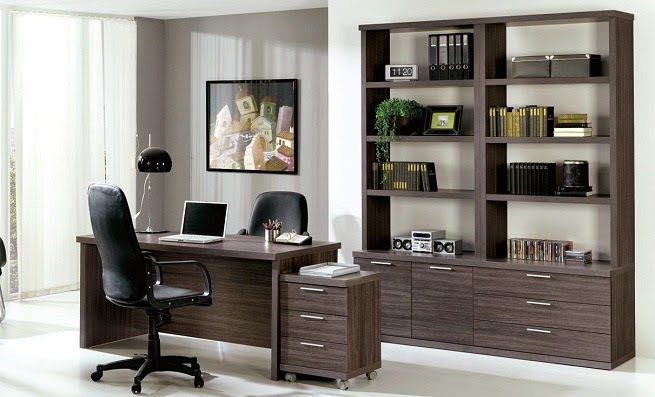 solutions to keep your office tidy are easy and inexpensive: pens and file cabinets, containers and decorative boxes. To accommodate your papers and files looking for ways to improve workflow.